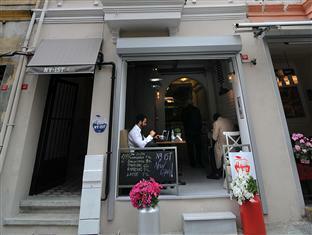 Located in Beyoglu, Taksim Safe House is a perfect starting point from which to explore Istanbul. The hotel offers a high standard of service and amenities to suit the individual needs of all travelers. Facilities like free Wi-Fi in all rooms, 24-hour security, convenience store, 24-hour front desk, express check-in/check-out are readily available for you to enjoy. Television LCD/plasma screen, cleaning products, in-room tablet, mirror, slippers can be found in selected guestrooms. The hotel offers various recreational opportunities. For reliable service and professional staff, Taksim Safe House caters to your needs.